The OSS, and later the CIA, was first created to gather and analyze intelligence information. Before the United States entered World War II, President Franklin D. Roosevelt created the Office of the Coordinator of Information, the COI, which became the OSS. "The COI and the OSS were given two important functions during World War II: to gather, evaluate, and analyze intelligence in support of the war against the Axis Powers, and to plan and execute operations in support of intelligence procurement." 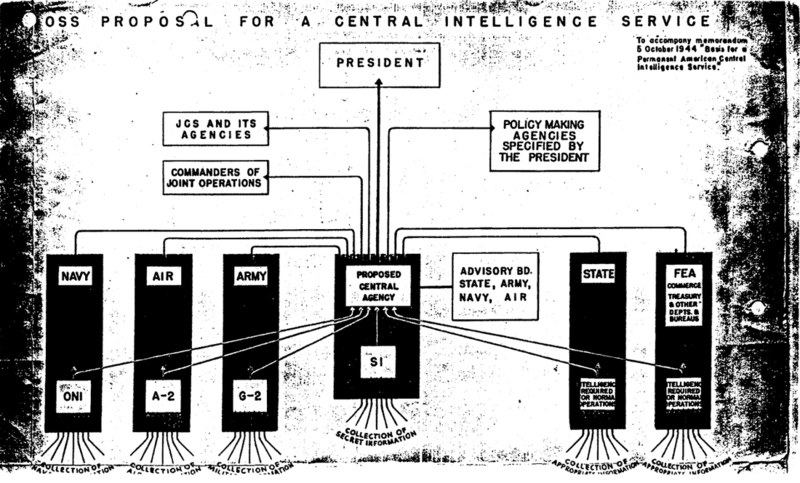 The CIA was created when the National Security Act of 1947 was passed, taking over the duties of the newly-dissolved Office of Strategic Services. 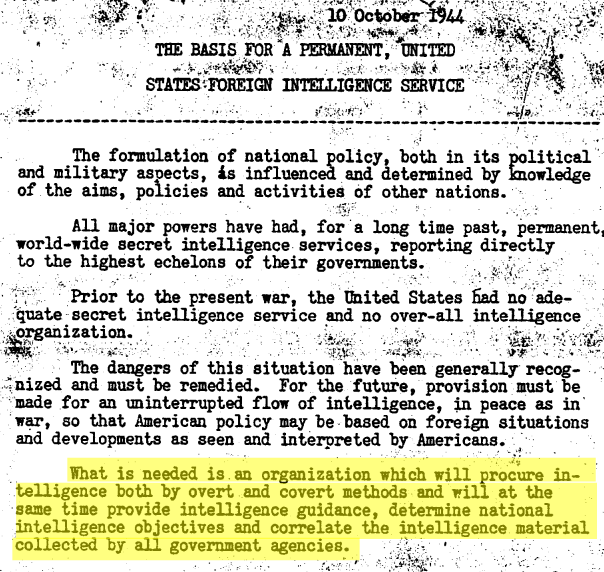 From the National Security Act of 1947, the establishment of the CIA. Excerpts from a memo from General Donovan to President Roosevelt calling for formation of CIA.